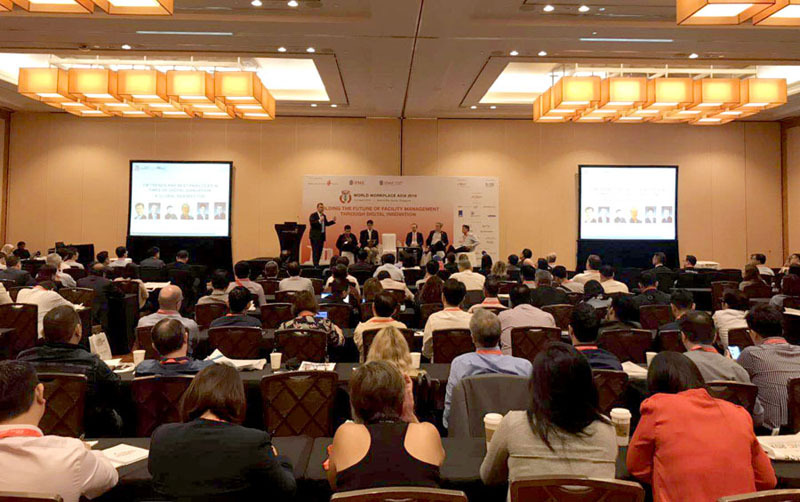 April 5th 2019, Singapore – Leadership from Aden ASEAN and China joined the 3rd annual World Workplace Asia (WWPA) conference, where Aden served as a strategic partner in IFMA’s flagship event. Aden‘s theme for the conference, Digitalized Global Asset Management Platform, gave the company a chance to showcase its vision for a new, fully data-powered model of IFM and asset management. It was also a chance for Aden to share its mission of consistently pushing IFM’s scope beyond traditional services to serve the emerging needs for Asia: clean energy transition, Smart tech and data; robotics and automation. Aden was honored to have been presented with a certificate of appreciation by the IFMA. 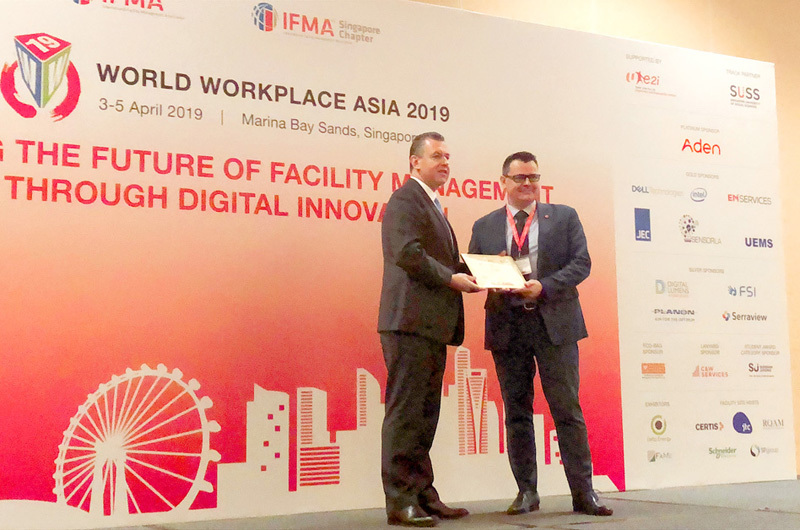 As a strategic partner of the IFMA conference in Singapore, Aden had been awarded for its outstanding contributions to the organization, as well as the valuable insights it provided at this gathering. 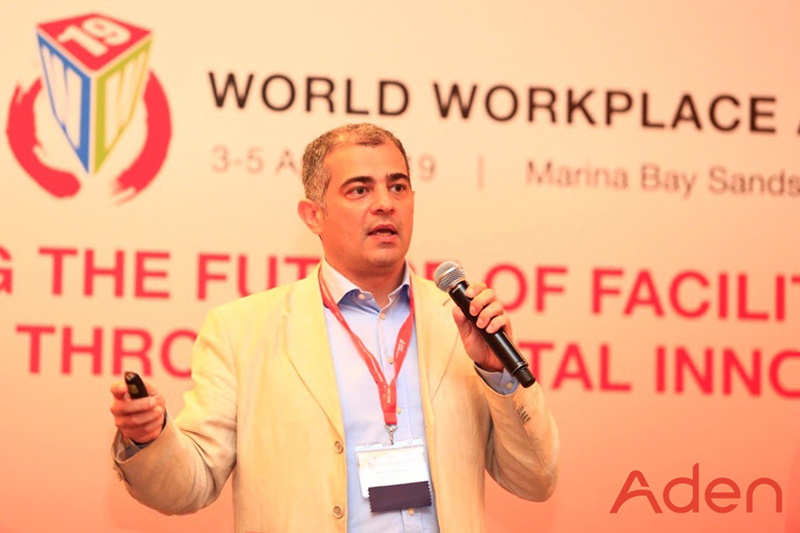 Expanding on this year’s theme of digital innovation, Fulvio Bartolucci, General Manager of Aden’s subsidiary Adenergy, was invited to give a keynote speech entitled "How SMART Is Smart? Going Beyond Buzzwords with IoT and Big Data". Fulvio’s talk explored the potential of Smart buildings and big data, but also warned about common misconceptions and mistakes that can lead companies astray when using IoT platforms. Aden, and Adenergy are playing a leading role in the digitalization of IFM, not least through its AEMO platform, recent winner of Microsoft and Envision’s “Best Machine Learning Enegy Optimization Platform”. This powerful foundation in IoT and Smart buildings gives weight to Bartolucci’s call for data power to be matched by high-level strategy and planning on the human and organizational side. For Aden, whose slogan is “Technology with a Human Touch”, this balance of technological expertise with long industry experience is in the company’s DNA and will power Aden in its ongoing mission to deliver innovative IFM and asset management to meet the new needs of a new Asia. Aden operates in over 25 countries, with 80 cities in China alone. Aden now has 26,000 employees around the world, ensuring that our partners receive comprehensive, top-level facility services at every level. We partner with clients in commercial, industrial and private sectors; among these, many companies listed on the Fortune 500 count on Aden for strategic outsourcing.